Well, as the numbness of our body and brain subsides, it is now feasible to reflect on the Burghound in Asia events. There were many highlights, although perhaps the star event of the whole program was the Antipodean Grands Crus, and that is saying something when you take in to account the incredible experiences we had,including the Datai resort, Langkawi Island (which you can read about on Sam Neill’s blog, 5 April 2011 Travelling Paddocks Proprietor into the Heart of Darkness). The bonhomie and camaraderie of the Antipodean evening was brilliant and so warmly entertaining, which Sam Neill sums up wonderfully in his blog… 10 April 2011 – Travelling Pinots, Into Asia The companionship of Pinot Noir. 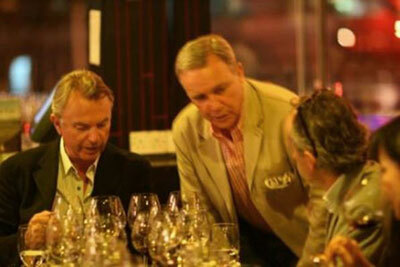 3 wise men – Sam Neill, Francois Labet from Ch de Latour and Andrew Jefford. 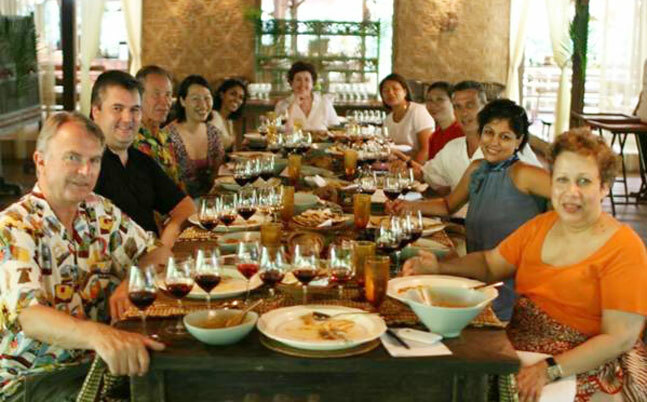 Lunch at the Datai - Gulai house with Josh Jensen from Calera Wine Co, California.